Are you a person hunting for government jobs? Here is an excellent job opportunity that is provided by DRDO in the research field. 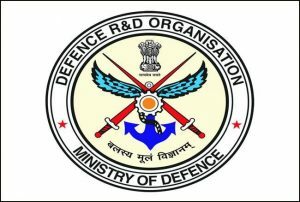 The DRDO Recruitment 2019 is opened for the various posting for filling 05 vacancies. The interested candidate may have a view at the official notification and appear for the walk-in interview that is scheduled on 30th April 2019 in the mentioned address. The selection process will be based on the marks scored in the minimum qualifying degree, NET/ GATE score. You may stay updated with the official website and details in it to have further information regarding the job and other upcoming vacancies. Junior Research Fellow The salary for DRDO Junior Research Fellow Recruitment 2019 will be Rs. 25,000/- per month and other PHA will be provided based on the central government norms. Step 1: when you are interested to apply for the DRDO JRF Recruitment 2019, you might visit the official website and look for the official notification. Step 2: Read them completely and understand the various eligibility and requirements. Step 3: When you are eligible and interested to apply for the job vacancies you may proceed. Selection for the post of Defense Research and Development Organization Recruitment 2019 will be based on the performance of the candidate in the walk-in interview. The aspirants will be shortlisted will be based on the written test and also NET/GATE and based on the marks that candidate obtained in the minimum qualification.